Tastefulness is a pretty subjective thing. One person's stylish accessory is another person's overpriced tat. The Porsche Design P’9981 is one of those devices that polarises opinion along those lines. The full and rather clumsy name for this handset was the "Porsche Design P’9981 Smartphone from BlackBerry". 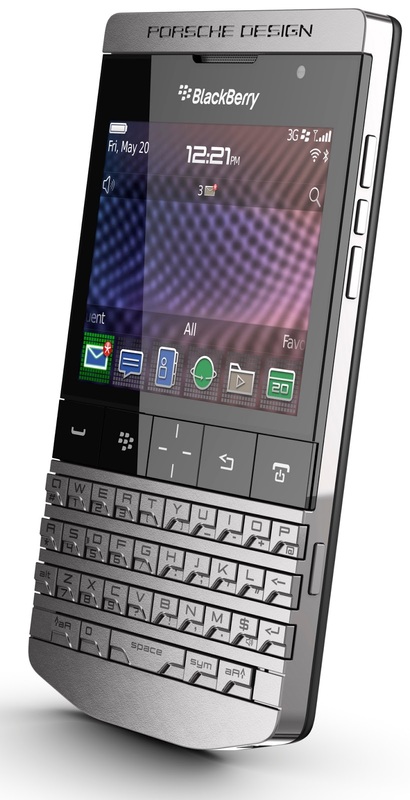 Simply put, it was the Bold 9900 in a different precision engineered and very expensive body. Complementing a range of products such as watches, sunglasses and in-car entertainment systems, the P'9981 was in good company. As for exclusivity, the price tag of £1275 (around €1450) guaranteed that, being three times the price of the Bold on which it was based. It was.. frankly.. a bit pointless. The 9900 represented BlackBerry at its peak, but the dominant position it held in the smartphone market was collapsing around it. The market was being taken over by the iPhone and a wide variety of Android devices, so it did seem that Porsche Design had chose the wrong partner. However, they stuck with it and a couple of years later we saw the P'9982 (based on the Z10) and the P'9983 (based on the Q10) coming in at an equally eye-watering price. Although it was a more upmarket partnership than the Sagem-based P'9521 and P'9522 from 2008, it was still a pretty niche device. However, these handsets still have their fans and are available today from £500 (€550) upwards for a used one to £1500 (€1650) for a "new old stock" one. Most of the available units have an Arabic keypad, which probably indicates where these were most successful. Certainly it is a head-turning device, and the P'9981 and its successors do manage to look different from the usual slabby smartphones we see. BlackBerry's new Android-based DTEK handset range could certainly doing with a bit of sexing up..